How would you position a new product in a competitive market? How would you persuade retailers to take it on, to put up new displays, to take the risk of buying lots of stock for something new and unfamiliar? What will you do? Over three placements, you will work in the areas of Account Management, Category Management and Business to Business. In Account Management, you’ll work with a certain ‘type’ of customer, building relationships, developing promotions, negotiating and gathering an understanding of consumers. In Category Management, you’ll cover a category of products, becoming an expert on their marketplace, consumers and competitors and advising customers on suitable stocks for their demographics. In Business to Business, you’ll sell a range of food products, using your product expertise and relationship skills to keep preferred supplier relationships with companies like the Hilton Group and the Ministry of Defence. Who is it for? Any work in this area demands a lot of motivation and an ability to tackle tough situations. After all, you’ll be on the front lines, working as an ambassador for our products, making sure people forget the competition and think of Unilever first. How exactly do you make some of the UK’s most popular brands even more popular? How do you take products that in some cases have a 100-year heritage behind them and bring them bang up to date? What will you do? You’ll learn your craft hands-on over the course of up to three placements – and you’ll also receive some of the best marketing training around. You will work in the areas of Brand Development and Brand Building. You could be working for a local company or a regional innovation centre, customer development or market research. There are even opportunities to work on an international assignment. Who is it for? We’re behind some the world’s most recognizable brands, but resting on our laurels isn’t going to keep us competitive. To give us that constant edge, you’ll need expert knowledge of your brands and the people who use them. We are looking for people who are analytical yet creative, with good gut instinct and who’ll be able to find ways to make our products fly off the shelves. 2 billion times a day someone somewhere chooses a Unilever product. That means you'll be working with a portfolio of brands that include market leaders and household names, such as Lady’s Choice, Wall’s, Axe, Sunsilk and Breeze, to name a few. You will get the opportunity to make a genuine impact on people's lives. The Unilever Future Leaders Programme (UFLP) is about growing iconic multi-million dollar, market-leading brands from day one. It’s tapping into continuous business mentoring, excellent training, and hands-on responsibility. It’s learning like you’ve never learned before. It’s challenging, make no mistake. But we’re looking to make managers of you in three years. You will drive your career and some of the world’s most-loved brands into the future. Focused on building leadership capability and accelerating your development, the programme involves a number of job rotations throughout the three years. Real roles with real responsibility from day one, will provide fantastic insight into the organisation, continually test and develop your skills, and give you the chance to make an immediate contribution to the business. Rotations will primarily be based in Kuala Lumpur but you may find yourself at some point over the three years working in other parts of Malaysia and overseas! So mobility and flexibility are really important. We offer world-class development opportunities in a fast-paced, challenging work environment. That means you'll learn from the best, both internally and externally; inspiring leaders and colleagues to support your professional and personal growth. As well as learning on the job, you'll have access to many carefully selected learning programmes to build fundamental leadership and business skills – in some areas these will lead to professional qualifications. 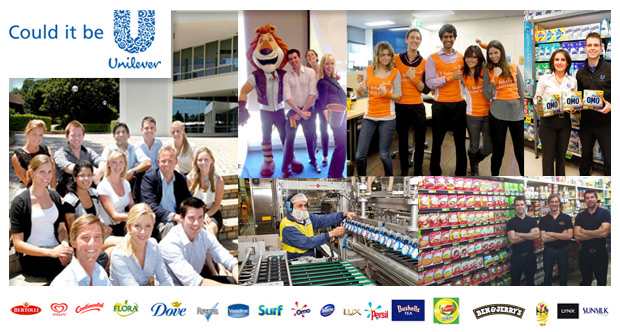 We are looking for highly talented motivated individuals, hungry for a challenge and ready to significantly contribute towards the success of the Unilever team. We seek graduates who are globally mobile, resilient, resourceful, have strong analytical and communication skills, and a passion for the winning. As part of the application process you will be required to upload your transcripts and resume. To be eligible, you will have obtained an above credit average university result and will have completed your studies by Dec 2013. Please note that this graduate program will be based in Kuala Lumpur and therefore it is a requirement that you are a Malaysian citizen. Upon the completion of your application form, you will be requested to complete online psychometric testing.